Pittsfield Township�s historic Textile Road traverses 13,000 years of natural and human history, and dramatically depicts the evolution of animal and prehistoric human trails into roads of contemporary commerce. An historic farmstead which abuts Textile Road, also preserves original artifacts of early horse transportation; and the main barn on that farmstead illustrates aspects of the Underground Railroad in the area � when horse and wagon were kept ready to transport freedom seekers to Detroit and Canada. Textile Road extends the entire width of Pittsfield Township, but now is divided by US 23. Today, to go from the short eastern portion of Textile Road � on the east side of US 23 � to the western section, one must jog up Carpenter Road and follow historic Michigan Avenue (the Old Sauk Trail, the Chicago to Detroit Military Road, US12) until it intersects Textile Road. 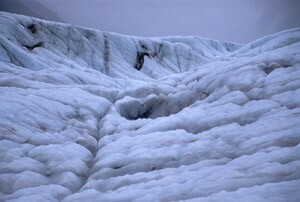 Glaciers were in full retreat from this area about 13,000 years ago. As they retreated, flora and fauna advanced. Among the megafauna were mastodons and musk ox. The western section of Textile Road skirts to the north of a large marsh � a remnant of the last glaciers and their subsequent retreat. Early native peoples would have had campsites along the north rim of the Mastodon Marsh. There, the campsites would have received the full warmth of the low winter sun. From there, the native peoples would have hunted fauna in the vacinity of Mastodon Marsh. The ancient pathways that were their east-west transit around Mastodon Marsh today is our Textile Road. A short distance east of Mastodon Marsh, Campbell Road intersects Textile from the south (see map below). Campbell Road runs north-south between Michigan Avenue and Textile. At the southeast corner of Textile and Campbell is historic Harwood Cemetery, where Sally Harwood became the first burial in 1824. 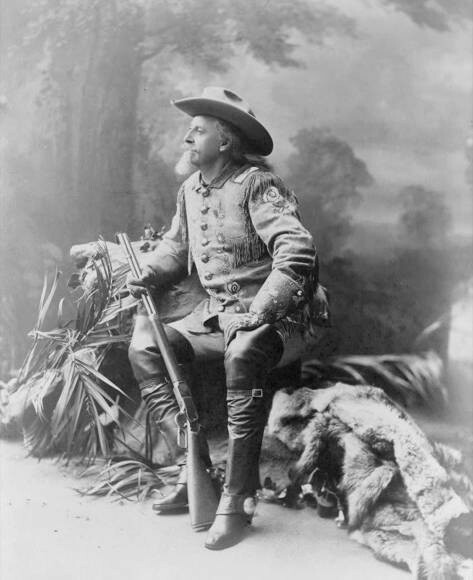 (Sally was the wife of William Harwood, one of the earliest settlers in Pittsfield Township. Their son, Willima M., was buried there in 1825 as was their daughter, Rosina, in 1827. 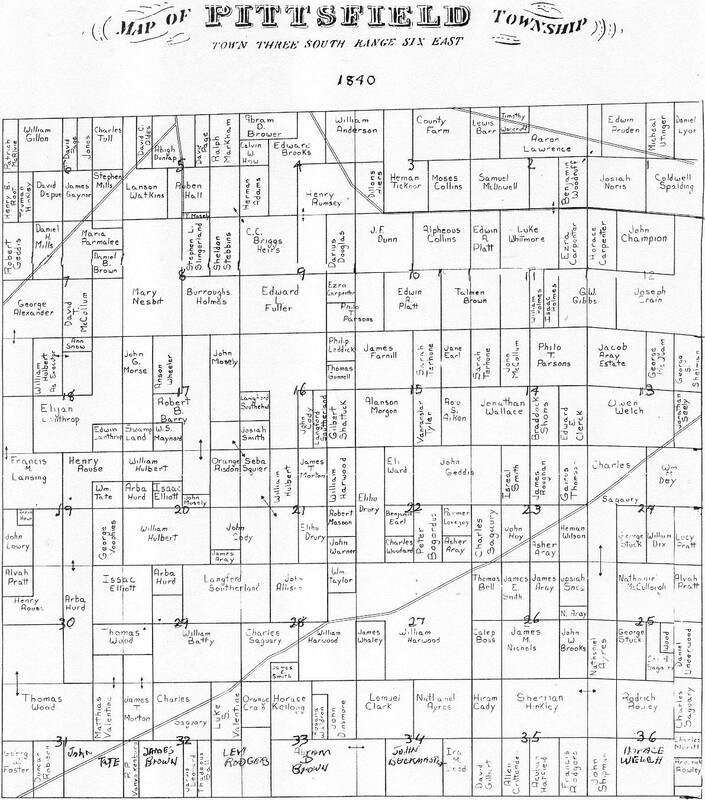 Harwood had extensive land holdings along both Michigan Avenue and Textile Road). 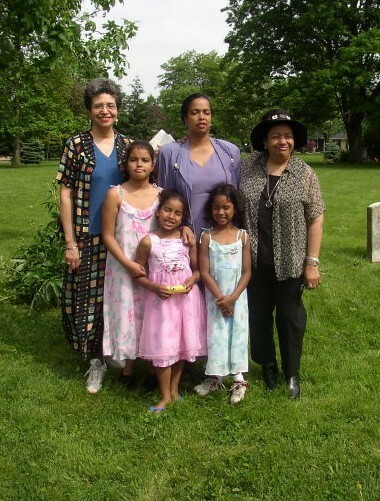 The earliest African-American residents of Pittsfield Township also are buried here, along side their early white neighbors. .
Other outbuildings include a carriage house/stable, which also was constructed from hand hewn timbers and straight-saw-cut planks. It still has several pegged windows containing hand-made window glass. 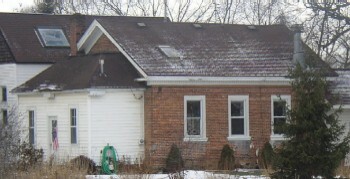 Also immediately across the road from Sutherland-Wilson Farm is Sutherland School � a one-room school house dating from the 1880s. It was preceded by a school built from logs. A Detroit newspaper from the 1850s tells of Asher Aray � an African American � bringing a wagon-load of 26 freedom seekers to Detroit. Heralded as one of the largest groups of freedom seekers to make their escape at one time, they began the last leg of their trip to freedom along Michigan Avenue and Textile Road. 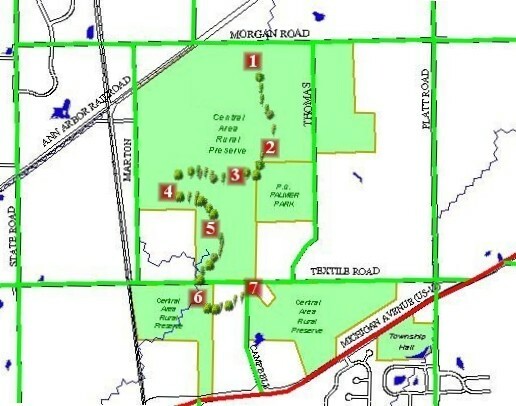 Pittsfield Township has acquired Pittsfield Preserve -- more than 535 acres on both sides of Textile Road, which will become future community parks � starting with Mastodon Marsh Park to the south of Textile Road. The Township also owns Sutherland-Wilson Farm, which it leases to the Pittsfield Township Historical Society for restoration and interpretation. Today, the six miles of Textile Road in Pittsfield Township take us back into time � to the last glacial retreat; to the days of mastodons and musk ox; to native peoples seeking food, shelter, and travel routes; to the early days of westward expansion and settlement; to the work of the Underground Railroad; and much more. And all this illustrates the impact of natural features on the evolution of animal and human pathways � pathways that became Textile Road. 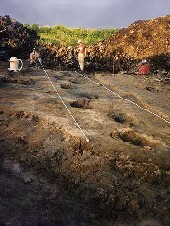 http://www.pittsfieldhistory.org/index.php?section=history&content=mastodons The skull and other bones were found south of Textile Road, not far from Roberto Clemente School, when a low area was being excavated for ponds. These bones now are in the University of Michigan Museum of Natural History. 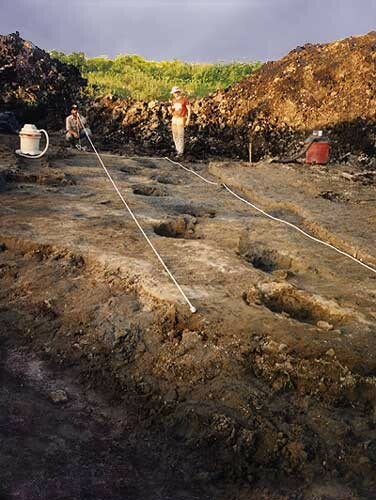 http://www.exhibits.lsa.umich.edu/New/VirtualExhibits/Mastodon/Mastodon4.html A cast of this trackway, and related bones found at the site of the trackway, now are on display in the University of Michigan Museum of Natural History. Related photos are courtesy of the Museum of Natural History, and also will be found on its website. These accounts were made by various persons attending prior Pittsfield Township Historical Society meetings, but were not recorded in writing at the time. Now, I am uncertain who actually recounted these events. If this is read by those who have personal knowledge of these events, will they please contact the author � C. Edward Wall: (734) 434-5530. Carol Mull has undertaken research that documents the Underground Railroad activity in this area. She currently is writing a book, which will include this account. 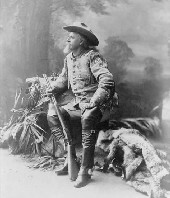 http://pittsfieldhistory.org/index.php?section=history&content=aray_family See also Carol Mull�s research and related accounts. http://www.pittsfieldhistory.org/images/platmap_patentee_80.jpg See sections 13 and 22. Also see: http://www.pittsfieldhistory.org/images/platmap_1840_80.jpg See sections 13, 20, 22, 23, and 26. 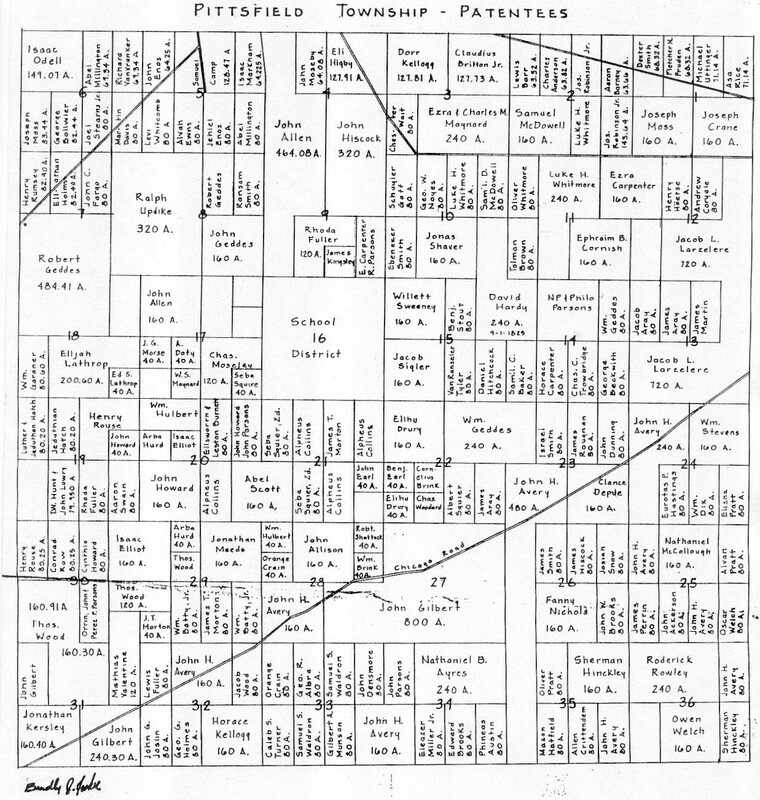 The parcel of land owned by an Aray in section 20 is immediately across Textile from Sutherland-Wilson Farm (and surrounded by the Cody farm); the parcel in section 22 is at the intersection of Textile and Platt Roads; the parcel in section 23 is on both sides of Michigan Avenue, and backes up to Textile Road; and the parcel in section 26 fronts on Textile Road. The parcel in section 23 is where Asher kept his horse and wagon ready to carry freedom seekers on to Detroit and Canada.